Description A sporty street wear aesthetic is presented with this Helmut Lang Blazing Yellow Knit Mesh. 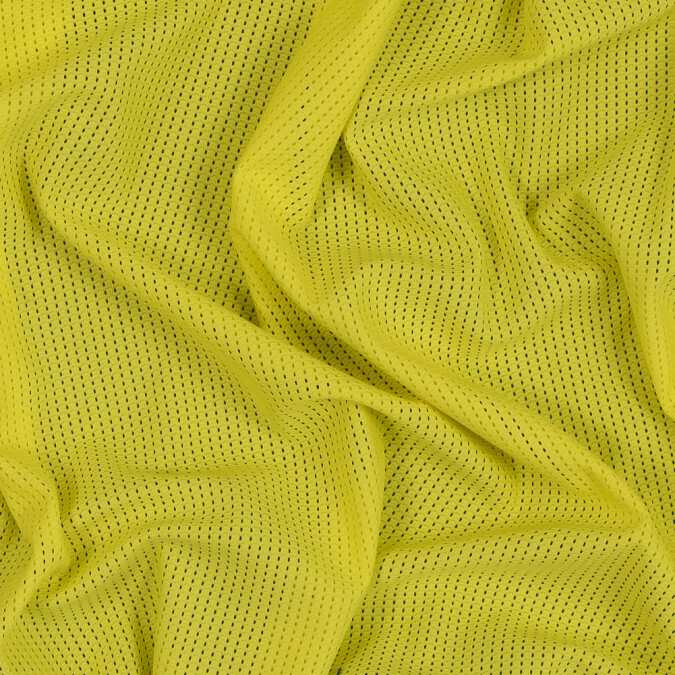 Its mesh design is dashed with stripes across a smooth vibrant yellow knit. Always designing just outside of the lines get inspired by Helmut\'s pieces or create a piece all your own with its flexible drape. A stretch through the weft makes it ideal for paneling in bodycon pieces too. Thin with a medium weight insert a lining or keep it as is for sleeves hemlines and necklines.